On April 2nd, 2019 CCEWOOL 1260 ceramic fiber blanket and CCEWOOL ceramic fiber board were delivered on time from our factory. The specification of CCEWOOL 1260 ceramic fiber blanket ordered by customer is 80kg/m3, 7200x610x25mm. 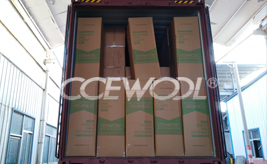 This order of CCEWOOL 1260 ceramic fiber blanket is packed with cartons of CCEWOOL image. Each roll of product is packed with inner film to prevent cargo from moisture during transportation. We have our own raw material base for CCEWOOL 1260 ceramic fiber blanket. We strictly control raw material purity. So shot content of our ceramic fiber blanket is only 12% which is 5% lower than similar products on market. We can provide blanket of different size and density. Our workers are loading products into container. They piled the cargo neatly inside container to make sure all products can be loaded into container. 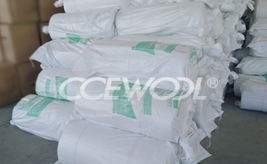 This shipment of CCEWOOL 1260 ceramic fiber blanket is estimated to arrive destination port on May 5th, 2019. Please prepare for picking up cargo. Write down your need, get free samples.